Get your glow back with the Origins Original Skin Retexturising Mask with Rose Clay, a 2-in-1 face mask that works to deeply cleanse and exfoliate your skin, restoring vitality back into your complexion. Enriched with a blend of beneficial ingredients, including Mediterranean rose clay and Canadian willowherb, the renewing formula gently but deeply cleanses your skin whilst exfoliating jojoba beads polish and refine skin's texture to combat dullness and roughness. Skin looks bright and perfected. Pores will appear to vanish and skin will be left with a new found clarity. 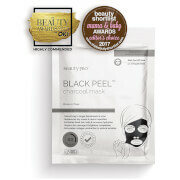 Leaving your skin feeling clean and clear, the mask will refine skin's texture and leave it with a radiant glow. - K.N. Use 1-2 times per week as a boost to your regime. Step 1: Wash face with your favourite cleanser. Step 2: Apply mask to clean skin. Avoid eye area. Step 3: Leave on for 10 minutes. Step 4: Wet fingertips and massage face in circular motions to exfoliate. Step 5: Rinse well and follow with your serum and moisturiser. Not sure what it is about this face mask but if I want my face feeling fresh and smooth, this is my go to face mask. I use this mask mainly to prep my skin before makeup application or a night out. Would recommend this mask. 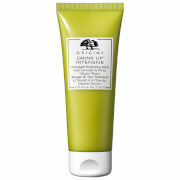 I've recently run out of this mask and must repurchase, I'm lost without it. I know they say nothing actually shrinks pores but this does a great temporary fix. The difference in my skin after use is fantastic, smooth, clear, glowing and fresh, my favourite origins mask by far and certainly one of my top favourites of all masks I've tried. Worth every penny. i bought it because someone reccomand it to me, anyhow, i love it! it is best of my cleaning mask! One of the best face masks I've tried!